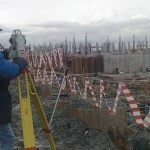 The map engineering consultancy services are still carried out by our company. Pulkova airport has been designed to accommodate the passengers of 14 million per year. A new building of Pulkova Airport shall be built on a land of 95.475 square meter in scope of the project. For the building including 85 check-in desks, new jet bridges and direct connections to carpark areas. a 4-star hotel composed of 200 rooms located on a land of 13.800 square meter and all required construction works necessary to run the facility.